Every year before New York Comic Con, I tell myself it's the last time I'm going. Then when it's all over, I do a 180 and can't wait until next year. Such is the case right now because I simply had a blast at NYCC this year! Thanks in part to this ridiculously simple cosplay I did of the Stranger Things alphabet wall. This is the shirt I used which I bought on Amazon. I bought a medium and it fits okay. And these are the LED Christmas lights I used which are conveniently battery powered. 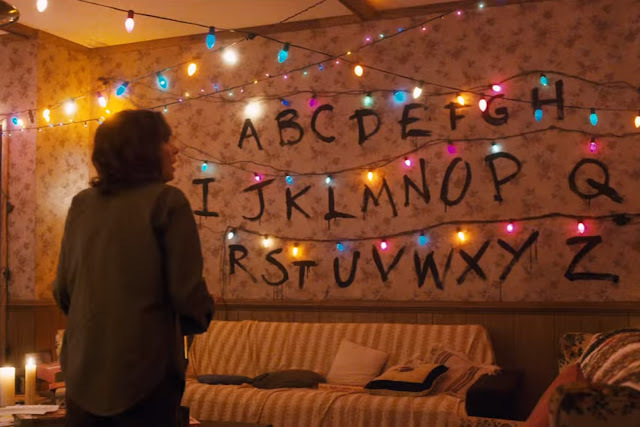 And this is the picture I used from a Google search for "Stranger Things Wall." 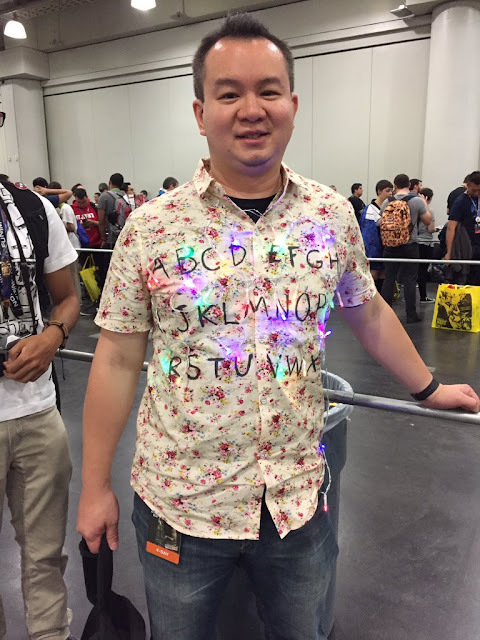 So copy the letters onto the shirt with a Sharpie, just use some safety pins to attach the LEDs above each letter, put the battery pack in your pocket, and have fun! As far as my fun goes, I tried to take pics with every Stranger Things cosplay I could find, so here's some of the awesome stuff I saw at New York Comic Con. The hilarious thing is she has the exact same shirt! I also got to meet and do a photo op with Millie Bobby Brown from Stranger Things! And lastly, I got to meet one of my idols Adam Savage who is also clearly a fan of the show! He even tweeted a picture of it! Like I said, best New York Comic Con, ever! Im also doing this codplay. Tx for inspiration!